After being imprisoned for four years in a Japanese internment camp, Hanako and her family are leaving America for a new life in post–World War II Japan. Deeply sensitive and observant, Hanako is conflicted about leaving her birth country, meeting her grandparents for the first time, living on their tenant farm, and fitting in. Life abruptly changes from the moment the family boards the ship that will take them to Japan. Hanako witnesses the horrific devastation of Hiroshima, confronts the very real possibility of starvation, and struggles to come to terms with who she is in this new land. 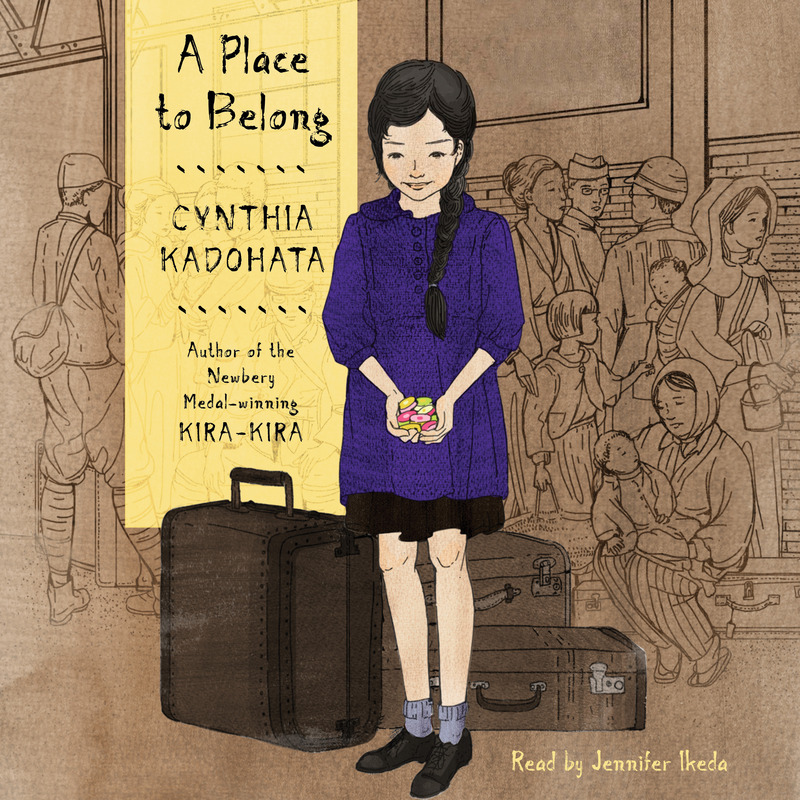 A Place to Belong explores one family’s struggle to survive in the aftermath of war, showing that even when things seem bleak, life can—and must—move forward. 1. The story opens with Hanako’s family preparing to travel to Japan by sea after a four-year imprisonment at Tule Lake. Hanako is happy to be out of the camp, but is conflicted about moving to Japan. She tells her brother, Akira, “‘We don’t belong in America anymore.’” What do you think it means to belong? Think about belonging in the context of a family, a country, and a culture? Why do you think many Japanese Americans lost their sense of belonging? What is evidence of belonging? How do you treat people and how do they treat you when there’s a collective feeling of belonging? 2. One of the story’s prominent themes is life’s dual nature. What does duality mean to you? Can you locate other examples of this in the text? Consider the passage where Hanako remembers something Papa said to her about Mr. Taylor, Camp Jerome’s cruel director: “‘Mr. Taylor has a life. He was a baby once. Maybe he has children; maybe not; maybe he will someday. He has hard days and easy days. He has emotions. These are the things that keep me from killing him.’” What meaning does Hanako take from her father’s words? 3. Discuss the meaning of “What rises, falls. What falls, rises,” and how this adage is illustrated in the story. In difficult situations, Hanako often thinks, “and yet.” How do these two words reflect Hanako’s ability to consider things from multiple perspectives? How does this ability help in her situation? Have you ever had to think about things from someone else’s point of view? How did that impact the outcome of your situation? 4. After the family realizes Hanako’s and Akira’s duffel bags are missing, Hanako understands, “That was the way war was―things just became gone.” Papa realizes her sadness and says, “‘Let me tell you, when I was in Bismarck, when I had nothing, not even a family, it taught me who I am. . . . You’re still Hanako. That twenty dollars in your seam doesn’t make you Hanako.’” What does Papa want Hanako to understand from his words? How can having nothing teach you important things about life and yourself? 5. The purple coat Hanako got at Tule Lake is one of the items she brings to Japan. Why is Hanako’s purple coat so precious to her? Beyond the ability to keep her warm, what does it represent to Hanako? After she trips and falls in the mud, Hanako hears a “hysteria in her voice” as she yells at Akira not to muddy her coat. Why does the thought of dirtying her coat make her so upset? How does the importance of the coat change over the course of the story, and why? Why does Hanako decide to give the coat to Mimi? Do you have an item like Hanako’s coat that you feel strongly about? If so, why does it mean so much to you? 6. Hanako is deeply thoughtful, sensitive, and prone to worry. Why did touching the 2.5 million-year-old volcanic rocks in Tule Lake help her to feel “that eventually all would be right with the world”? How does Hanako gradually learn how to live “in the moment”? Why do you think this is an important lesson for Hanako to learn? 7. Hanako is confused about who she is, saying, “‘But . . . I don’t know if you want me to be American or Japanese.’” Why does Hanako feel pulled in two directions? Can you name other situations that illustrate how she feels? What advice would you have for Hanako? 8. Discuss Hanako’s relationship with Akira. Cite actions throughout the story that reveal her deep connection to her brother. How does Akira serve as a metaphor for living in the present? 9. The theme of survival runs throughout the story. Discuss actions and decisions Hanako’s family and other characters in the book make in order to survive. How do they justify their actions? How do they feel about having to make these decisions? Discuss Baachan’s statement, “‘Akira is sick. To feed him is more important than not to steal.’” Describe why Hanako feels like throwing up when she realizes her family expects her to steal the wheat. Reread the section where Hanako talks about feelings that come to her when she is hungry. Why does hunger give her the “awful thought” that she is “more important that anyone in the whole world”? Why is the thought so awful to her? 10. While on the train to Hiroshima, Hanako notices the poverty in the Japanese countryside; she thinks back to her former life in California and how relatively better off they were there compared to what she sees out the train window. This is an early example of Hanako’s understanding of how her life circumstances are relative to the life circumstances of others. Discuss other examples from the text where Hanako ultimately sees her life in the context of the world at large, and can weigh her problems against others who are suffering. 11. How does Hanako demonstrate that she’s highly observant and attuned to the world around her? Reread chapter 14. How does this chapter illustrate Hanako’s powers of observation and her questioning mind? Do you think these traits were impacted by her experiences in the camp? 12. Hanako is empathetic beyond her years. Discuss the scene where she offers a katapan (cracker) to the man with no pants. How does this small act reveal Hanako’s enormous ability to feel for her fellow man? How can you channel Hanako’s example in your own life? 13. One of Papa’s mottos is “Do everything you can.” How does Hanako’s experience seeing the destruction in Hiroshima make her feel that these words are meaningless? How does she put these words into action in the train station, at the farm, and with Kiyoshi? How does Kiyoshi become an important figure in Hanako’s life? After Hanako gives him the butterscotch candy, why does he say, “It’s not food. It’s . . . it’s like it’s making fun of me”? How does hunger become like a character in the story? Give other evidence of this. 14. Throughout the story Hanako is reminded of the temporal nature of life: time is fleeting, and the world and everything in it is constantly changing. In addition to wanting to fit in, how is Hanako’s decision to cut off her braid an example of the changing nature of life? How would you have reacted to these changes if you were in Hanako’s shoes? 15. Hanako displays enormous bravery in the face of her family’s situation. How does Hanako show courage on her first day of school? How does she become more independent during her time in Japan? Why does she equate growing up with “being by yourself more”? How does being hungry force her to grow up? 16. When the family gets off the train and begins their journey on foot to Jiichan and Baachan’s house, Hanako is worried that Papa doesn’t know the way. Papa reassures Hanako that he does, saying, “‘I just had to find it in my memory.’” Discuss the importance of memory and the nature of memory as themes in this story. How does memory sustain Hanako as she struggles to begin her life in Japan? Can memories be both helpful and hurtful? 17. 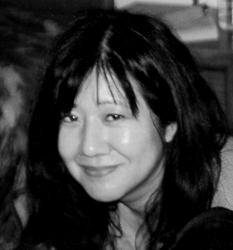 After the horrors of witnessing the destruction of Hiroshima and its effects on the Japanese people, Hanako experienced the healing pleasures of a warm bath and a cup of tea, and “felt such a surge of optimism that she wondered for a second whether she’d been hallucinating when she saw Hiroshima.” Why does Hanako feel this way from the seemingly simple experiences of bathing and drinking tea? How does this illustrate both the power of a kind act and the difficulties in comprehending tragic events? 18. Jiichan tells Hanako, “‘There is many bad, but there is also many good. So we move forward in life, neh? When we can, we move forward.’” Discuss examples of how Hanako and her family live by this idea. Why is this idea so powerful? 19. Discuss the concept of kintsukuroi or “the thing you break you must fix with gold.” What “gold” does Hanako use to help herself and her family move forward? How can Hanako feel happy when she is still hungry, knowing that food will be scarce for some time to come? Do you think there can be both an emotional and a physical hunger? 20. Hanako is faced with many dilemmas over the course of the story. What do you think about her decision to give a potato to the old woman? Explain your reasoning. What does it mean to “harden your heart”? Do you think Hanako was right not to trade the family’s rice for a kimono? Why does she feel “rather mixed up” after she gives her shoes to Kiyoshi and bargains with him for a purple kimono for Baachan? 21. What is unconditional love? How do Jiichan and Baachan display unconditional love for Hanako and Akira? How does Baachan’s love and self-sacrifice dissolve Hanako’s anger? Can you name a time when you’ve shown unconditional love for someone in your life, or they’ve acted out of unconditional love for you? 22. Hanako realized that “sometimes you just had to go out into the world and trust it would happen. You had to trust that there were good people in the world.” How does Hanako learn the meaning of trust? Do you think trust is an easy thing to earn? 1. Conduct a class research project into President Roosevelt’s executive order that resulted in the imprisonment of Japanese Americans during World War II. Encourage students to find out which groups supported or opposed the order, how long the imprisonment lasted, and how Japanese Americans were treated before and during the imprisonment. 2. Have students identify aspects of Japanese culture that appear throughout the story. Place students in pairs or small groups to research one of these aspects and share their findings with the class. 3. Hanako was born in the Year of the Rooster. Papa was born in the Year of the Dog. Give students time to discover where their birthdays fall in Chinese astrology. Students can make a drawing or painting that depicts their birth year. 4. Hanako says to Baachan, “‘You can tell me your memories. Then they won’t be gone.’” Have students conduct oral history interviews with older family members, friends, or members of the community. Afterward, have students write about their experiences in a personal essay. Guide written by Colleen Carroll, literacy specialist, education consultant, and author of the twelve-volume series, How Artists See and four-volume How Artists See, Jr. (Abbeville Press). Contact Colleen at www.colleencarroll.us.